All good, DrummerIX. Thanks for even considering to look at the game at this stage. Have not tried to change weapons. It might glitch the game tho, dunno. But I would assume to process would be similar, i.e., just changing the type id. Should be a good experiment at least haha! sorry if this is stupid question but let's say if i used the same codes/ addresses from here and apply them a ps4 save would it work since it's the same game? Any scripts to make NPC's (like a boss 'queen') playable? Or the "Maze" (or whatever it's called) exclusive characters playable in story mode...? Does that work with NPC's as well -- e.g., the 'queen' / boss character ("Ingenia")...? Sorry for the long delay in getting to this, but I figured out how to edit the Additional Effects on Weapons, Orbs and Accessories. I added an Highlighted Item option in the Pointer section. When you view the item in game, it updates the pointer and you can then edit the Additional Effects and their power. I also have the Star Level for Accessories. Enjoy! It's in the post on the first page of mine under EDIT 16. Is there a way to make the edited effect permanent? Right now the effects reset every time you close the game as far as l can tell. For example if l put HP + 10 on Metal King Sword and save the game then quit and re launch the game then the HP + 10 effect is gone once l load the save file. Also, is there any way to edit a characters buffs/etc and their timers? Like if you want to give a character the divide status where they have copies following them around, or other effects? 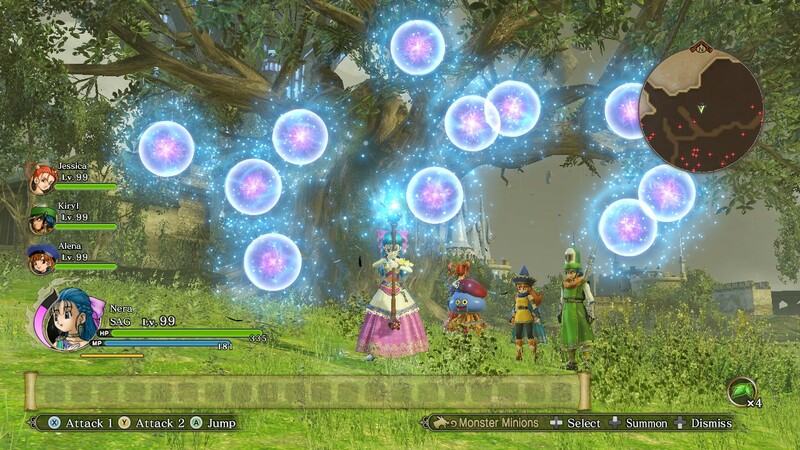 Another question is since you can edit the effect on an weapon/orb/etc, has it be found how to change the weapon a character is equipped [or a shield for most of the non-main character] with to another they can't normally equip, etc? I suppose the game doesn't save changes to weapons effects because they are not supposed to have any perhaps. Not sure. They do store multiple copies of things in memory, but I use AOB to hook into the memory that should affect the correct one. At least it stays on orbs and accessories. I was going to try giving this game another playthru or actually try to get my first playthru finished, but my new computer won't play the movies. I have a support ticket open, but not holding my breath they can fix my issue as they say support for this game is not very good. I'm not sure what other options I will work on, but maybe as I have time, I will try to find your requests. Hey , l finally know how to make effects on weapons permanent. You have to use exactly the same affect as the ones available on Uber Weapons which are. All above effects will stay on your weapons even if you load your save file. Nothing else will work. I found some more options for the Highlighted Item portion. I now allow you to edit the base stat for Weapons and Orbs and also the Base Effect. Weapons, Orbs and Shields seem to only have the one effect you can have (at least that's all I figured out). Shields don't have a base stat that I know of. As far as Weapons and Additional Effects, the code that resets these if they are not specific ones runs as soon as you start the game. I did put in an option in the Enable that disables it for the rest of the time the game is open, but once you close completely and come back it will reset the additional effects right at the startup of the game. Without editing the EXE, I'm not sure anything can be done about it. Minor "bug": "Base Stat 1" doesn't seem to properly affect Magical Might [for Wands and Heavy Wands]. It seems to instead refer to the Orb's Base Stat address for some reason. Also, Is there a way to change what TYPE of stat "Base Stat 1" is affecting in the first place? I fixed the issue with Base Stat 1 and wands and heavy wands. I also worked out how to edit the base effects of accessories in this update (16.6). My game crashes every time I try to run anything with this table,no matter what. After ticking enable and going to anything... Items,alchemy upgrades, proficiency (crashes at first travel or first attack to enemy). All I really want working is prof + # enemies killed. Can find values myself fine for medals,money,single item quantity and trainers work, but something compat wise is wrong trying to use this. Is there something special I need to do to get it working? Does it not run under the DQH2.exe as process? I run the game, click the table icon, asks me if I want to load CT and I do. Standard practice, but SOL. Any advice?